Happy Turkey Day everyone!!! 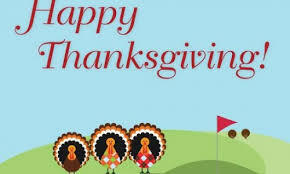 Eat lots of turkey and read some great golf articles! Have you read my Holiday Gift-stravaganza post? Need still more gift ideas? Check out GNN's list! Kingston Heath is one the best courses in the world and is currently hosting a very cool tourney. Results in the link.